Don't miss our Super Grouper trips for the opening of Grouper season! Call our office or see our Facebook Page for further details. As the owner of the Reward Fishing Fleet, I am happy to announce the introduction of specialty trips that will peak the interest of many serious fishermen. These trips will depart from Bayside Marketplace in Downtown Miami aboard the Reward Won, and equipped with everything needed for a successful fishing experience. 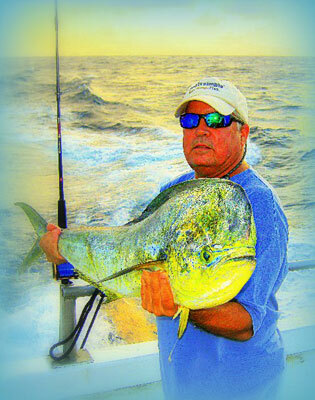 All of our captains and mates are tournament trained, as well as accomplished in all aspects of saltwater fishing. They are excited to provide the outstanding service to which our customers are accustomed. We can kite fish for sailfish and other top water species while we drift fish for kings, mutton snappers, groupers, bonita or tuna. We can also anchor in as deep as 240 feet of water if the conditions allow, giving us the flexibility of catching yellowtails on the shallow reefs , and big snappers and groupers on the deeper ledges, day or night! Heading offshore to find a weed line and dolphin is always an option. Please be considerate of others on these trips, keeping alcohol to a minimum and respect our “zero tolerance” of illegal substances. It is important to remember to respect our fishing skills and efforts, and NOT bring a personal GPS system, or use a phone for that purpose (we take….then “float-test” them). Aboard The Reward Fleet, WE ENCOURAGE THE RELEASE OF FISH. Our fishermen share a passion for the adventure and experience, and willfully release many fish of all species. We strive to make our adventures the best they can be, and look forward to building a strong relationship with our serious fishermen. Call our office at 305-372-9470 to reserve your spots as soon as possible – specialty trip reservations must be made at least 48 hours in advance. Check out the cool videos at our Facebook page “Reward Fishing Fleet” to get pumped up for your next trip! Bring your braided line and jigging outfits with a box full of vertical jigs and join the growing number of amazing fishermen that have experienced our special “vertical jigging” trips. Departure times vary depending upon the duration of the trip, usually 5-6 AM, and return between 1- 4 p.m., depending on afternoon bookings. We will have a minimum of 6 hours duration on these trips. This style of fishing is precise. We stop the boat over a wreck or ledge, in 100 to 450 feet of water. The anglers then drop vertical or “butterfly” jigs to the bottom, working them upward at whatever speed they like. If we don’t have a bite within five minutes or so, we quickly move to another spot. Typically, we can hit 20 different locations during a trip. This translates to finding amazing fishing at times. Since beginning this trip last September, we have landed Black Groupers weighing up to 27 lbs., Gag Groupers to 25, Warsaw Groupers to 47, Amberjacks up to 50 and Almaco jacks up to 45 lbs. It’s accurate to say that each trip our anglers get beat up by some awesome fish! A 30 lb. wahoo, big bonitas, and dozens of small blackfin tuna indicate the versatility of this style of fishing, not to mention the kingfish that can destroy dozens of jigs in a hurry. Prepare yourself for a serious work out! We will provide quality jigging outfits if you don’t have your own, at no charge, and provide jigs as needed at their cost. Please mention your needs while reserving your spots. Back by popular demand, the “Ironman” trip is exactly that! Get a good night’s sleep before fishing this one. With a duration of 11 to 12 hours (depending on daylight savings time), we will stretch our legs to fish from the offshore rips to the wrecks and ledges of the upper keys. Departure times vary depending upon the duration of the trip, usually 5-6 AM, returning no earlier than 5:30PM will test the fortitude of our anglers. Trolling, drifting, kite fishing, vertical jigging, or anchoring may be the theme at any portion of this trip. Trolling and kite fishing are shared among all. Ironman trips include an additional mate on board to maintain our excellent standard of service. We suggest you bring whatever you wish to eat or drink. Snacks and beverages will be available at a nominal charge. Equipment: If you bring your own equipment, please limit to 4 outfits. Some jigging outfits will be available at no additional charge. Also, there is no additional charge for live bait, special hooks, lead or leaders.